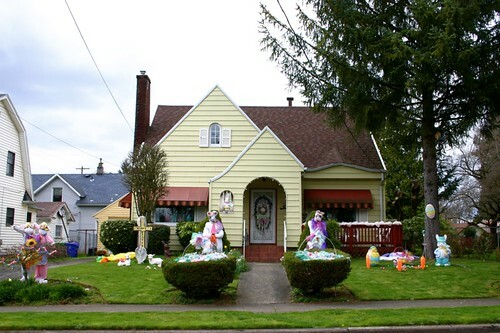 Don't say we don't know how to throw some yard decor up in NoPo, because I'll show you a house that says otherwise. Easter is no small matter, evidently. 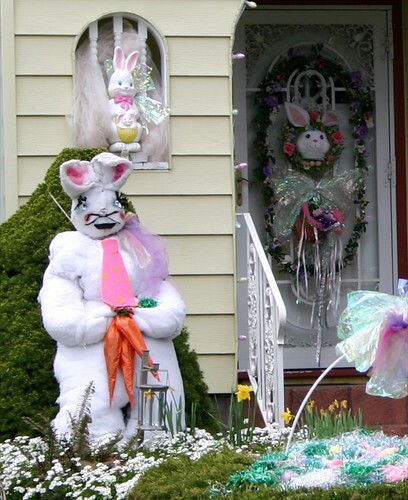 We all have our favorite holidays, but Easter is very popular at this house, and has been, for as long as I've lived in N. Portland (12+ years?). 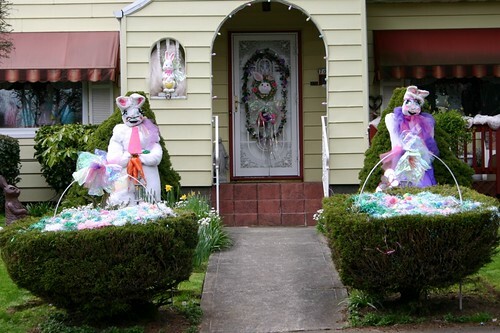 It's not as much decor as it used to be, but they always make the front bushes into Easter baskets. My favorite part. No really, take it all in. Can anyone find the chocolate rabbit? And lest we forget the reason for the season, there's also a cross in there. I see neither the chocolate rabbit nor the cross. That larger-than-life plush rabbit (homemade?) with the necktie is really something. Oh boy, we've got one of those near us too! Hippity hoppity, easter's on it's way! I love people. They are awesome. 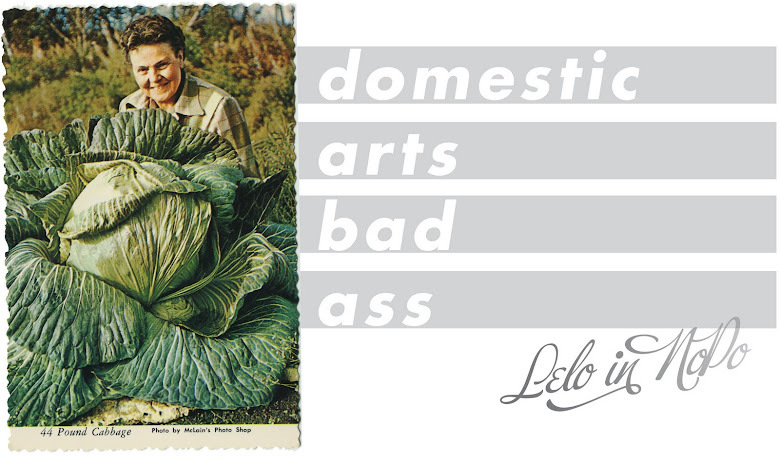 Especially those that relish in yard ornaments. That big rabbit looks a little too real for me. My Granny would LOVE that house. Dammit you KNOW I am a holiday Ho and I can't see a blasted picture! I need to pop in for visits more often. I do keep up with you some via facebook though! You might be just to the left of insane, and that's why I love you.